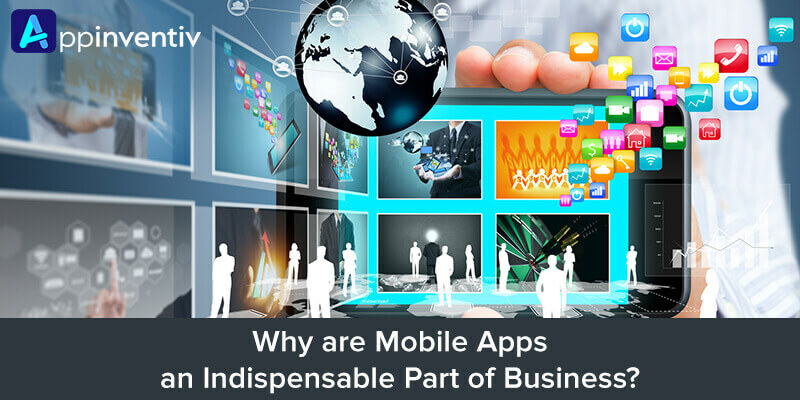 Why are Mobile Apps an Indispensable Part of Business? You must be aware of the fact that more than half of your customers are on smartphones, spending 86% of their time within apps. So how are you establishing a connection with them? Have you heard about the use of apps to reach the target market? If not, this is the right time to gain an accurate and deep understanding of how mobile apps are beneficial to attract target market and grow your business. The blessing of the mobile age is that you can run your business better at anytime. Today, not only big name brands like Bank of America and Walmart are using mobile apps. In fact, more and more small as well as midsize businesses are following the mobile trend, understanding the fact that mobile strategy is not only about having a mobile-friendly website. It is important to note that as a business owner, you have an opportunity of using well-executed mobile applications to promote businesses and make massive profits by reaching the niche market. The enterprise mobility market is expected to reach $500 billion by the year 2020. 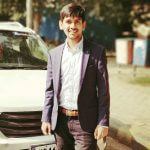 A large number of organizations are already seeing apps as a tool that plays a pivotal role in strengthening external customer engagement and in streamlining business process transformation. The right apps in the workplaces give workers access to comprehensive data as well as information on demand. Many employees in the organization are using apps to acquire customer information, to send relevant messages to the target audience in real-time and view manuals. Apps are being used to collaborate with the team members and manage business. Moreover, to acquire data such as asset details, warranties, contracts and renewals. On the other hand, organizations that includes field staff or have employees who are regularly mobile says that well-developed apps improve efficiency, productivity as well as profitability. If a report is to believed, from 2015 to 2016, the number of companies deploying at least one app rose from 73% to 82%. Furthermore, several business owners are also using mobile apps to reinforce their brand, to increase awareness as well as communication with the brand. When there is regular interaction with the target market, then they are at a higher chance of fostering trust. Mobile apps are transforming businesses by bringing about the extraordinary growth in the operations with better customer services. Just like everyone, you too have your own preference when it comes to getting a cup of joe and nothing is better than visiting Starbucks to satisfy your taste buds. With the motive to offer a convenient way to buy coffee, the Starbucks has launched its app, allowing you to buy your favorite coffee by skipping long queues. The app includes a wide assortment of amazing features in which store locator is the one through which users can find the nearest Starbucks on the basis of the geographic location. In addition, the customized drink feature enables you to create your own drinks and order instantly. It even gives you the chance to save time and earn rewards when you pay with the app. With over 1,000,000 installs on Android, it sets a great example how smart mobile app strategy can impact the sales goals and brand awareness goals. The brand doesn’t need any introduction. It has already touched the horizons of sky by manufacturing world-class footwear, apparel, equipment and accessories. Nike+ Run Club app of this manufacturing giant does not directly sell anything to the users. In fact, it is a fitness training app through which users can plan, measure and can monitor their running routines. On the other side, the app makes running more fun by incorporating a social media element. Thus, users can share their running goals on Twitter and Facebook. Users can even compete with other friends using the app. The app will give you the motivation that you need to run farther as well as faster than ever before. A well-known brand that sells ready-to-assemble furniture, home accessories and kitchen appliances. It has launched an amazing IKEA app that helps you to download the latest edition of the IKEA catalog. You can take the picture of a place in your house and can virtually install the furniture to see whether it complements the room or not. The app even allows you to know the stories behind the products. Clearly, this app has considerably improved and streamlined the decision making and purchasing behavior. The list doesn’t include only these three companies in fact, there are numerous companies that offers mobile apps to improve the experience of their valuable customers. So, if you have decided to have a great app to make your business thrive, you need to hire a renowned mobile app development company. In this regard, you have to take care of some important things such as experience, market reputation, expertise, past projects and expertise to name a few. Companies that transform their business processes using apps are at a higher chance of achieving new level of success. If you are working as an entrepreneur, remember you need to get ready for the mobile app revolution now. The rise of great applications for all the business functions is a trend which you can’t afford to ignore. So, you need to have the skill of hiring the best mobile apps development company that can satisfy your business requirements.